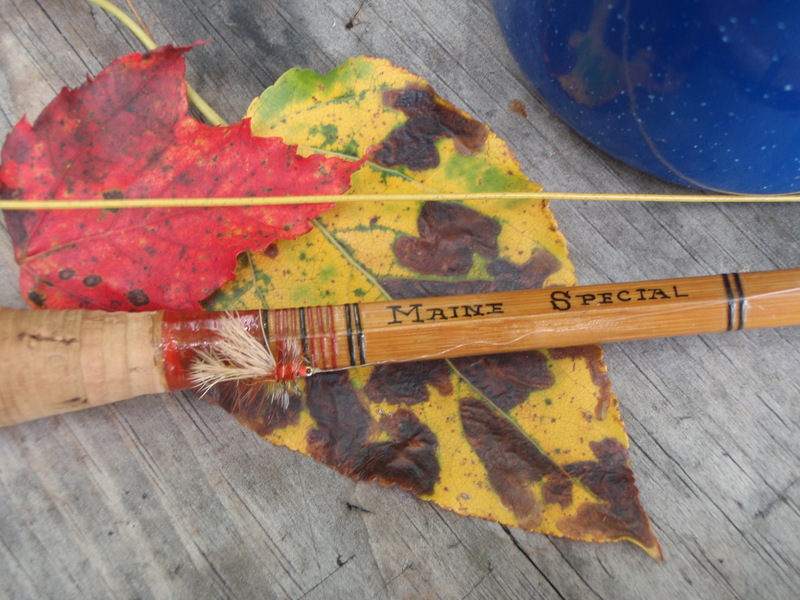 Part two of a 3-part series called “The Maine Special,” in which my wife and I pretty much avoid tourists and mosquitoes in a pleasant romp through the woods and mountains of New England. We took a day trip to Acadia National Park from our wilderness campsite in northern Maine. As you might suspect, it was not the best experience moving from the green solitude into a blue madhouse of activity, but not all was lost. We decided to go because we hadn’t been there in 28 years. We were now within striking distance of the park. It was August, sure, but at midweek maybe the crowds wouldn’t be so bad. Not as bad, certainly, as the August crowds discovered at Yosemite some years ago. 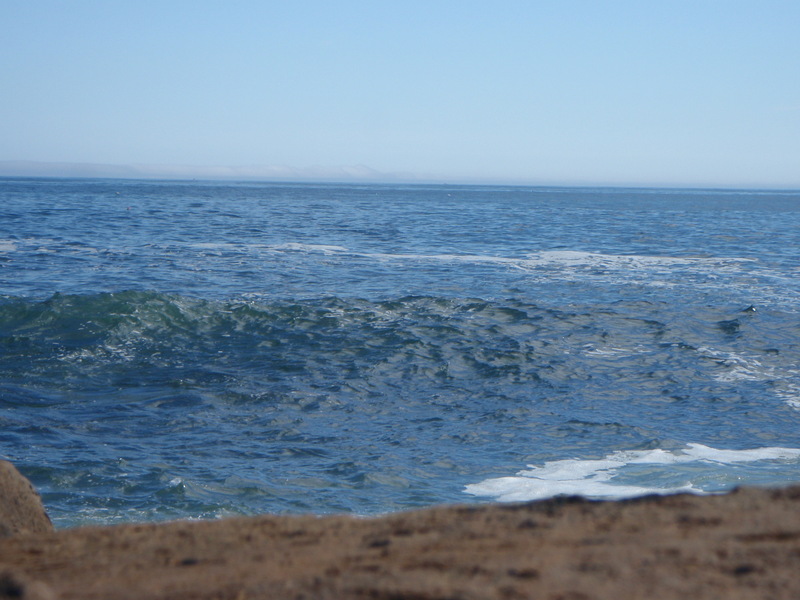 The coastal waters would refresh us; sometimes things change for the better… Well, not here, not now. 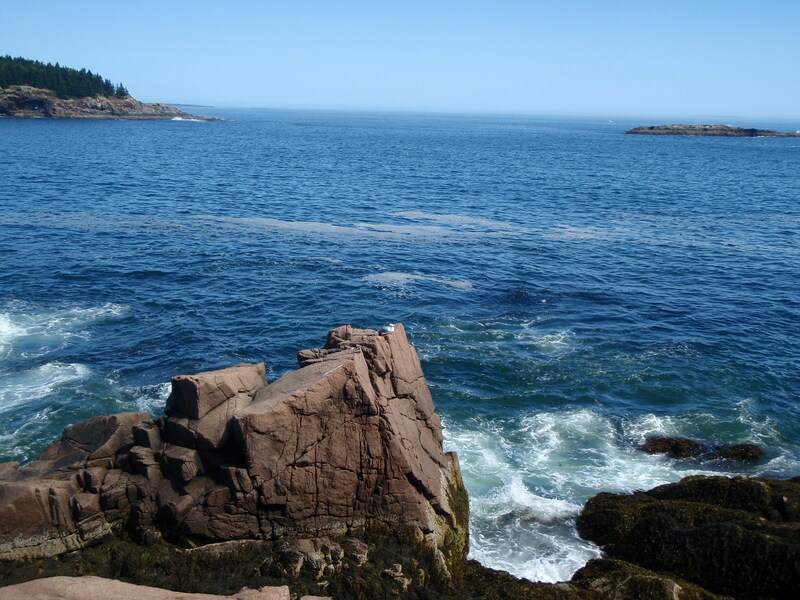 Unlike many other national parks we’ve visited, Acadia ushers in the newly arrived and puts them on a pedestal. That is, visitors must first climb to a Welcome Center high up on the rocks (nothing wrong with that). There, on this day, a long line of people waited patiently (or not) to buy their passes. Staff and organization seemed in short supply. Oh well. But let’s give this oldest national park east of the Mississippi River (established 1919) some due credit. 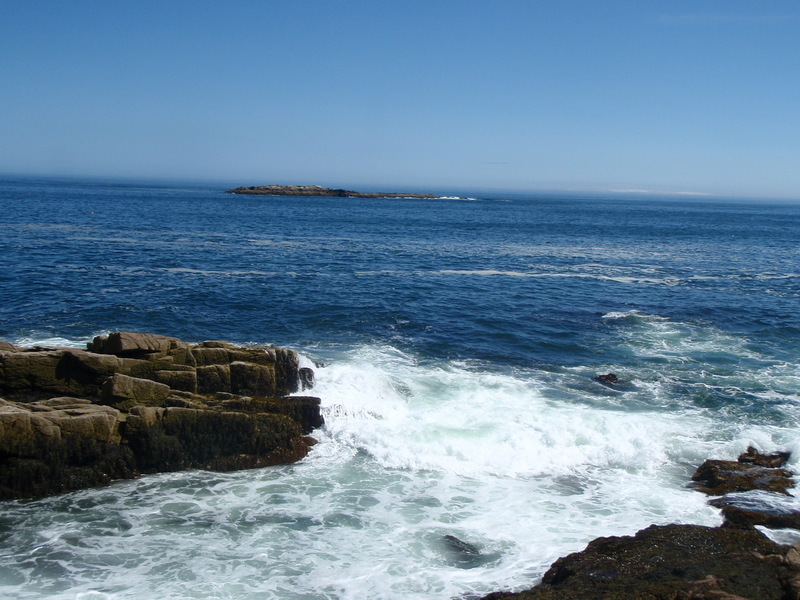 It’s a beautiful place on the eastern coast of Maine. It’s definitely worth a visit, but if you can get there any time other than in the standard tourist season, go for it, and be thankful that it isn’t August. 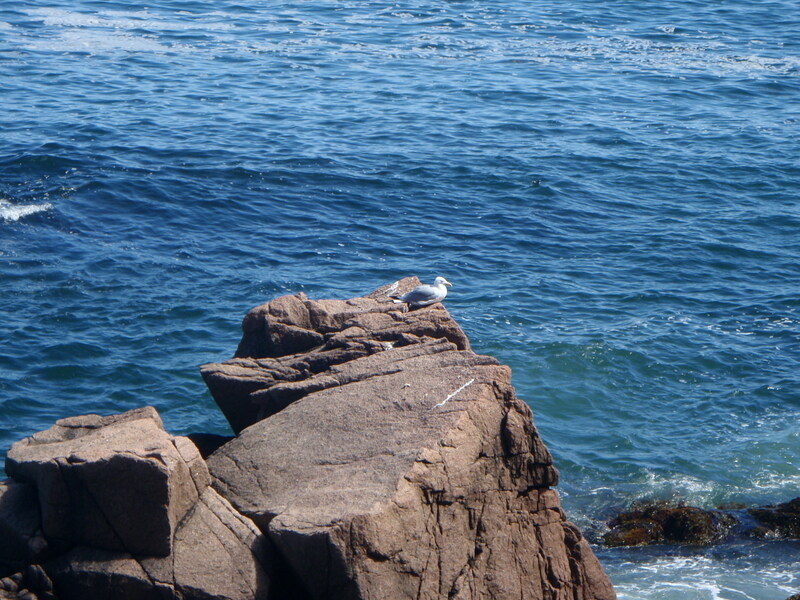 Leighanne and I enjoyed some quiet walks, and a picnic lunch on the rocks overlooking the punchy Atlantic. It wasn’t easy getting off to someplace where we didn’t have to look at thousands of other transients like ourselves. I don’t know why, but it seemed more fun tossing sandwich crumbs to an adoring gull than it was dodging bored nature lovers taking pictures of themselves against the waves of an indifferent ocean. Where Otter Point eventually inspired this short poem: From a cliff I stare/ into dusk and whitecaps/ rushing from across/ the world. Songs of/ fog and mist and surf/ nearly take my being/ till the herring gull,/ staring from its cliff,/ emerges without moving. 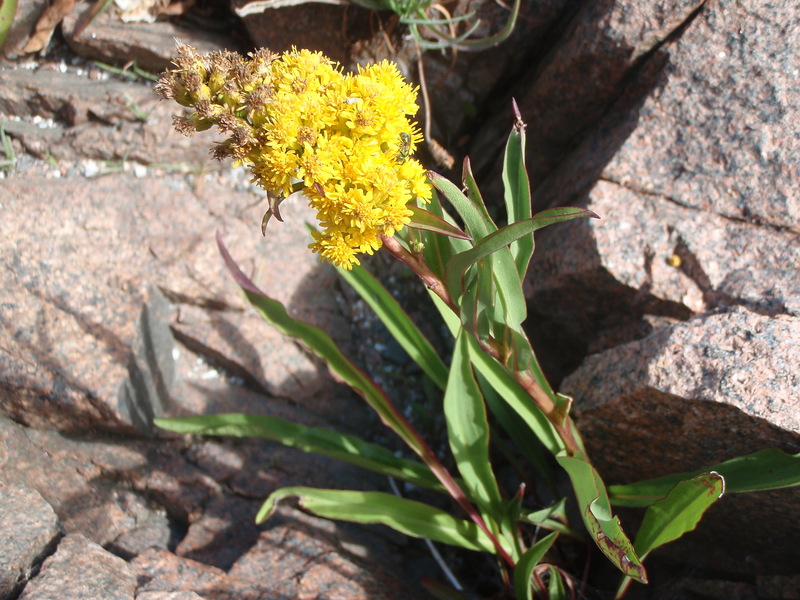 We remembered the Dorr Mountain hike from seaside goldenrod habitat upward through bogs with pitcher plant, bearberry, cranberry, and bunchberry towns, through the fern and moss and rock to the summit views of the Porcupine Islands. And over there was Cadillac Mountain– and a young Japanese woman strolling around with eyes glued to something like a small TV (today’s technology makes the climb, as well, except that it’s more… sophisticated). We remembered Thunder Hole at high tide when the water slammed a pocket of air and made a startling noise… And anemones at the tidepool of Anemone Cave… My walk along the ledge, the incoming wave that knocked me on my keister and tossed my sunglasses to the cool Atlantic… Oh, and I remembered my upper leg, badly scraped and forcing a limp that lasted for days…. 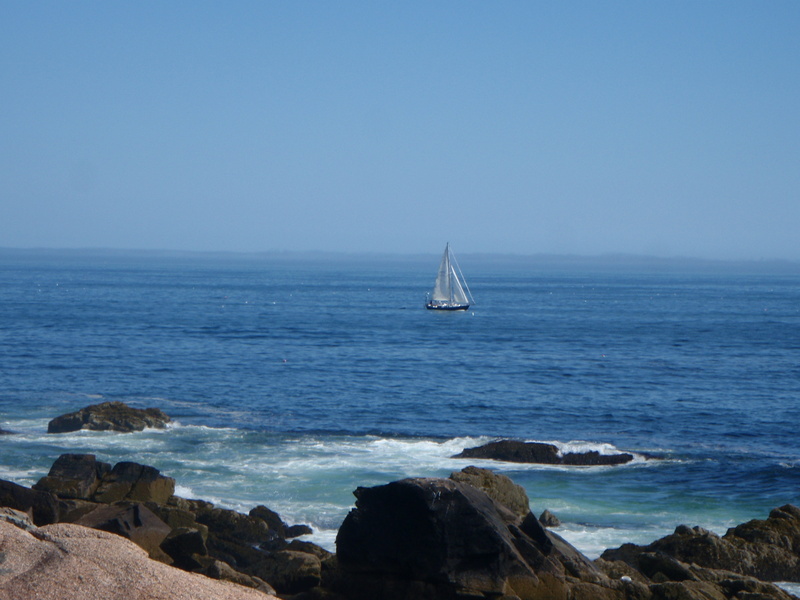 Now there was a time to enjoy it: the ruggedness and sublime beauty of coastal Maine. 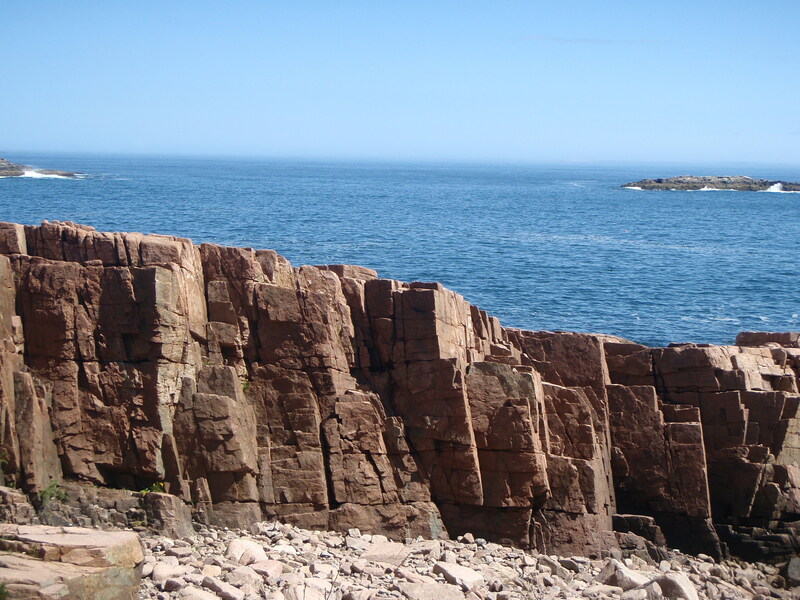 This entry was posted in Uncategorized and tagged Acadia Nat'l Park, Anemone Cave, Arcadia, Atlantic Ocean, camping, Dorr Mountain, Maine, Maine Special, nature, Otter Point, poetry, reflections, vacation, walt franklin poetry. Bookmark the permalink. Loved the photos here – no tourists(!) It’s all about timing these days, if you want a little peace and quiet. No one can take away those memories you have. There’s a tinge of the autumnal in those leaves, Plaid. Although the air still feels like summer, the signs of imminent change are here. Timing is key, isn’t it. The memories endure. Thanks, my friend. Maine has always been on my some day to do list, but I think I’ll stay inland. Something intrigues me about being inland. The wife has been bringing up wanting to go to Vermont. Not sure where that’s coming from, but she usually gets what she wants. If and when that happens, I’ll have to pick your brain to see what you know and also that of the infamous Quill Gordon. Ken, For what’s worth, I’ll have my brain available for the picking. Rural New England, whether it’s Maine or Vermont, is intriguing and I can see why your wife would like a visit there. You’d like it, I’m sure, and hopefully you guys will get a shot at it some nice day. Thanks. We’ve talked about your trip enough recently that I want to focus on something small here. The picture of the (spruce?) 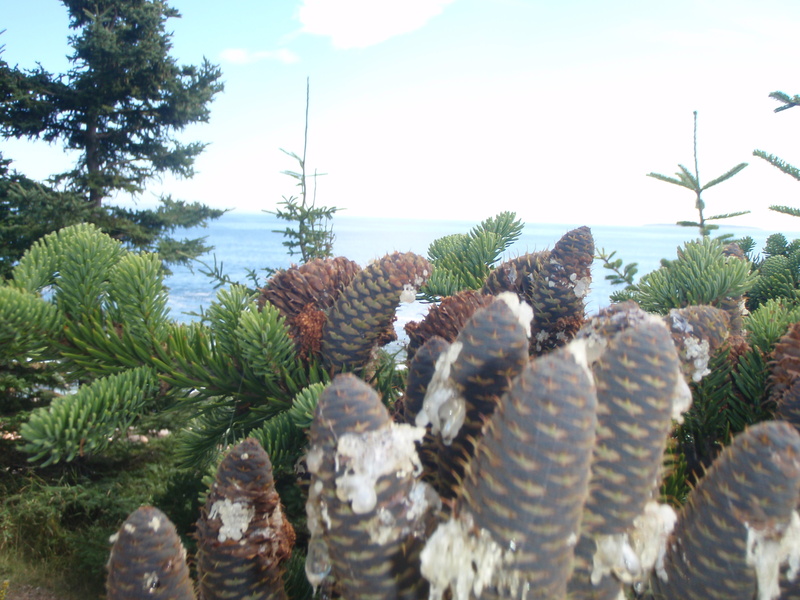 cones–is that crystallized sap on there? Whatever it is, it looks like ice has formed on the cones, which is a nice visual with the green and blue background. Glad you noticed the cones there, Brent. It was a quick snap to later try and identify the tree species, which I have yet to do, actually. I noticed that sap glaze and liked the overall effect against the background. Downeast calls for hunting SEARUN BROOKIES!!!! Tim, It doesn’t surprise me that sea-run brookies can be found in Maine, but I don’t know much about them there. That’s probably another subject for investigation by this yankee visitor the next time he comes up. Have you found them there? Thanks! Wow! What sweet refuge from the everyday hectic. These memories you’ve compiled, “the rock cliffs, goldenrod habitat upward through bogs with pitcher plant, bearberry, cranberry, and bunchberry towns,” leaves everything to the imagination of those great, blue distances. I am left in jaw-dropping awe of beautiful views. Glad to take you there, as much as I’m able, Doug. There’s a lot of great blue distance out beyond the crowds at this time of year, and the trick for gettting there is to put on your sailin’ shoes, i.e., imagination, if the feet don’t take carry us beyond. Thanks for commenting on the views and phrasing! Beautiful pictures, Walt. The Atlantic looks impossibly blue and the pic of the cones is almost…arty? Bob, It’s a pretty deep blue, isn’t it? The cones were a quick shot, a pause in an uphill climb, and I’m glad I caught them. As always, thanks much for your appreciation! Glad you like them, Bill. Always good to hear from you. I can’t express too much how much I appreciate your photos and narrative Walt. It might as well be a foreign country since I’ve never been. It’s a breath of fresh air. Your appreciation gives me the fuel of hope for RR, and my work to keep it alive. Thanks very much, Howard. Walt Maine is a grand state. The sea coast to the mountains it pretty much has everything for those who love the outdoors. You’re welcome, Alan. I agree, there’s a lot to it for the outdoors person. I’m just scratching the surface here, but eager for more. Fantastic post! I thoroughly enjoyed reading this. Amazing that you have such vivid memories of that long-ago trip! It must’ve been a special (aka impacting) one! Thanks Mary Anne. Appreciate the comment and glad you liked the read. My memories of the trip are fairly vivid, but I’ll tell you, there’s nothing like having many years’ worth of journal entries on hand! As a writer, I’ve maintained a journal regularly now for some 45 years, and as the brain gets older, the Journal comes in handier all the time. I understand that the crowds are definitely diminished now that we are near the end of September. This is probably a good time to visit. Thanks!